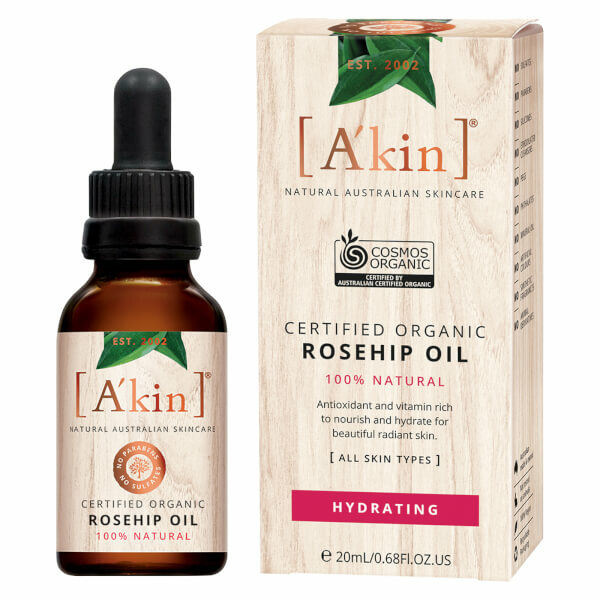 Replenish and rejuvenate with A'kin Certified Organic Rosehip Oil; a lightweight, quick-absorbing formula with a minimum concentration of 80% essential fatty acids for optimal skin health. Utilising a [CO2] extraction method to ensure the purest, most potent oil is recovered, the luxurious treatment nourishes and hydrates skin, whilst defending against environmental aggressors and premature signs of ageing. Rich in vitamins and antioxidants, it helps to minimise the appearance of wrinkles, scars and uneven skin tone for a smoother, more refined texture. 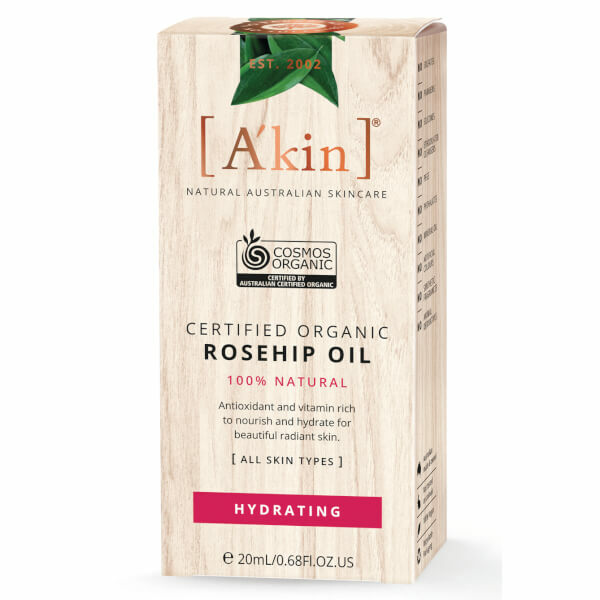 Expect a radiant and healthy-looking complexion with improved suppleness and elasticity. 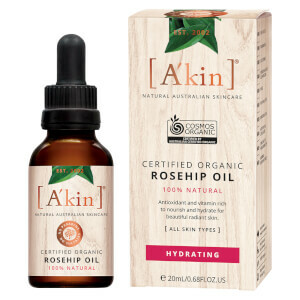 After cleansing apply 3-4 drops and gently massage into face, neck and decolletage prior to moisturiser. Use twice daily. Absorbs faster into the skin if applied to warm or slightly dampened skin.